"The sanctions imposed on Eritrea for the last nine years have entailed considerable economic damage to the country and unnecessary hardships on its people," Foreign Minister Osman Mohammed Saleh told the UN General Assembly. Eritreans "are not only calling for the imminent rescinding of sanctions, they are asking and deserve amends for the damage incurred and opportunities forfeited," he added. Slamming the "unwarranted sanctions," Saleh accused countries at the Security Council of resorting to procedural measures to block a lifting of sanctions. Human rights groups say Eritrea's record on free speech and press freedom ranks among one of the worst in the world. The foreign minister said it was "astounding" that countries wanted to prolong sanctions "in light of the widely acclaimed peace." 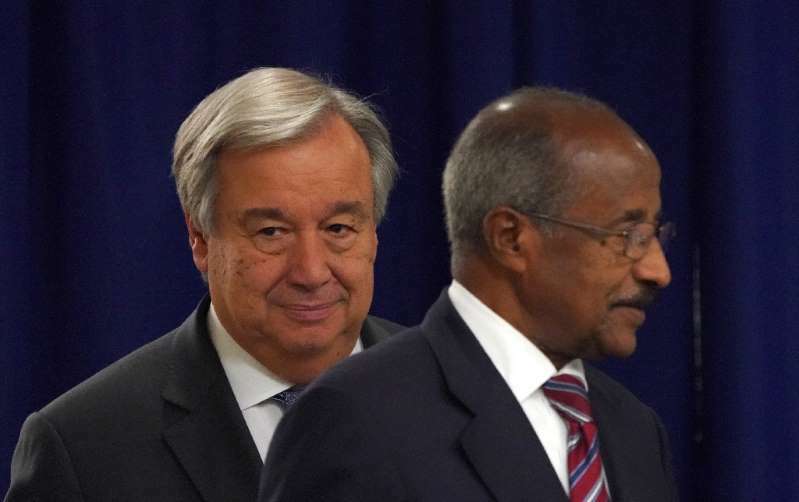 In his address to the assembly on Thursday, Ethiopia's Foreign Minister Workneh Gebeyehu also called on the Security Council to "now seriously" consider lifting sanctions on Eritrea.